When you call, we will warmly greet you and set up an appointment for you to visit. We will collect personal and insurance information for our files over the phone. In addition, we’ll provide you with directions to our office and make sure you have your questions answered. We also recommend completing your paperwork ahead of time to save you a few minutes when you arrive. Our friendly staff will check you in. Please plan to spend about one hour with us on this visit. It’s important to us that you understand and feel comfortable with how we can help you. That’s why we always provide a very thorough report for you. Dr. Brad or Dr. Steph will review our report of findings that explains what we found during your consultation, examination and X-rays. 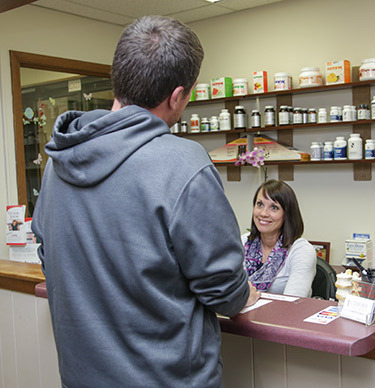 We will provide you with our recommendations for care and let you decide what is best for you. We will continue your treatment therapy to provide symptom relief and plan any follow up care. You can expect this visit to last around 30 minutes. 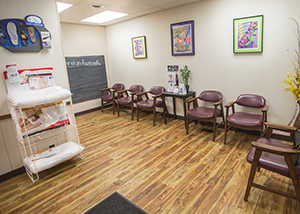 We always want you to feel at home when visiting Uthoff Family Chiropractic, PC. We know your time is valuable so we will try to keep these visits brief so you can get back to your day in about 10-20 minutes. Contact us to learn more about us and how we can help you make the most of your health.